If a cane or walker is not providing enough mobility, a manual wheelchair or lightweight wheelchair may be a viable option to consider. Making the transition into a wheelchair to aid in your mobility can be overwhelming, as there are lots of options available. Our manual wheelchairs come in different sizes and weight capacity depending on your needs. Our friendly and experienced staff at E Care Medical Supplies will take the time to talk with you, understand your specific needs and make suggestions for the ideal manual wheelchair for you. 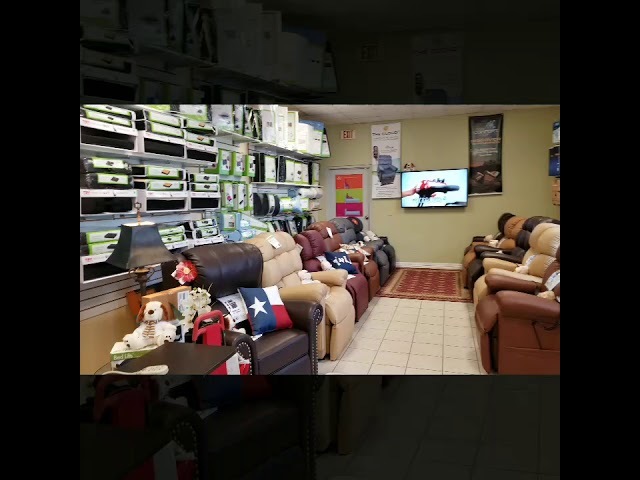 You can experience the benefits that our manual wheelchairs have to offer first hand by making a trip to our local medical supply store showroom in Houston TX. Would you like to rent a manual wheelchair instead? Then ask about our Manual Wheelchair Rentals in Houston TX. We can delivery our wheelchairs to your home or facility! We proudly delivery our wheelchairs to the Houston area and the following Texas Cities: Alief, Alvin, Austin, Bacliff, Bay City, Baytown, Beasley, Beaumont, Bellaire, Bellville, Brazoria, Brookshire, Buna, Channelview, Cleveland, College Station, Columbus, Conroe, Corrigan, Crosby, Cypress, Dayton, Deer Park, Dickinson, Freeport, Fresno, Friendswood, Fulshear, Galena Park, Galveston, Giddings, Gonzales, Hempstead, Highlands, Hitcock, Hockley, Houston, Huffman, Humble, Hungerford, Huntsville, Katy, Kemah, Kendleton, Kingwood, La Grange, La Marque, La Porte, League City, Liberty, Livingston, Lufkin, Magnolia, Manvel, Missouri City, Mont Belvieu, Montgomery, Navasota, Needville, New Caney, New Waverly, Orchard, Pasadena, Pattison, Pearland, Pinehurst, Plantersville, Porter, Prairie View, Richards, Richmond, Rosenberg, San Antonio, San Felipe, Schulenburg, Seabrook, Sealy, Silsbee, Simonton, South Houston, Splendora, Spring, Stafford, Sugar Land, Sweeny, Texas City, The Woodlands, Thompsons, Tiki Island, Tomball, Victoria, Waller, Wallis, Webster, West Columbia, Willis, Woodville, and much more! Call us to order your Manual Wheelchair Today! K1 Basic Medline Wheelchair. Durable tig-welded frame in gray powder coat finish. Comfortable nylon upholstery. Smooth-rolling solid flat-free tires. Dual axle hemi-height adjustable. Available with desk length removable or full length permanent arm styles. Available with detachable legrest or detachable elevating legrest. Seat size comes in 18 inches w x 16 inches d. 300-lb 136 kg weight capacity. 18" Wide K1 Basic Manual Wheelchair W/ Footrest 300 Lbs Cap. K1 Basic Medline Manual Wheelchair. Durable tig-welded frame in gray powder coat finish. Comfortable nylon upholstery. Smooth-rolling solid flat-free tires. Dual axle hemi-height adjustable. Available with desk length removable or full length permanent arm styles. Available with detachable legrest or detachable elevating legrest. Seat size comes in 20 inches w x 16 inches d. 300-lb 136 kg weight capacity. K2 Basic Medline Wheelchair. Carbon steel frame with rugged silver-vein finish. Armrests are upholstered and padded. Threaded seat screw inserts reduce stripping from upholstery changes. Dual axle hemi-height adjustable. Chart pocket on back. Easy-to- clean vinyl upholstery. The Tracer SX5 lightweight frame weighs less than 36 pounds which making this chair perfect for rental and long- or short -term use. The Tracer SX5 lightweight frame weighing less the 36 pounds which makes this chair perfect for rental and long or short-term use. The Tracer SX5 now combines the design and technology of the 9000 series wheelchairs making it possible to interchange components. The Tracer SX5 offers multiple seat widths depths armstyles sectional back and seat-to-floor heights by utilizing the dual axle position frame base. The 20 and 22 widths include a semi-pneumatic caster and chrome handrim to accommodate additional weight. Invacare Tracer SX5 20 x 16 Frame with Flip-Back Fixed Height Desk Length Arm Silver Vein Wheelchair The Tracer SX5 lightweight frame weighs less than 36 pounds which making this chair perfect for rental and long- or short -term use. The Tracer SX5 now combines the design and technology of the 9000 series wheelchairs making it possible to interchange components. The Tracer SX5 offers multiple seat widths depths armstyles sectional back and seat-to-floor heights by utilizing the dual axle position frame base. The 20 and 22 widths include a semi-pneumatic caster and chrome handrim to accommodate additional weight. 20" Wide Lightweight Wheelchair Tracer SX5 300 Lbs Cap. Invacare Tracer SX5 22 x 16 Frame with Flip-Back Fixed Height Desk Length Arm Silver Vein Wheelchair. The Tracer SX5 lightweight frame weighs less than 36 pounds which making this chair perfect for rental and long- or short -term use. The Tracer SX5 lightweight frame weighing less the 36 pounds which makes this chair perfect for rental and long or short-term use. The Tracer SX5 now combines the design and technology of the 9000 series wheelchairs making it possible to interchange components. The Tracer SX5 offers multiple seat widths depths armstyles sectional back and seat-to-floor heights by utilizing the dual axle position frame base. The 20 and 22 widths include a semi-pneumatic caster and chrome handrim to accommodate additional weight. 22" Wide Lightweight Wheelchair Tracer SX5 300 Lbs Cap. Traveler HD 20X18 Detachable Desk Arm Swingaway Footrest. The Traveler HD Wheelchair from Everest Jennings is the latest in a long tradition of durable high-quality products. Designed to support up to 500 lbs. the Traveler HD is the ideal solution for the bariatric user. The chair comes with double crossbraces heavy duty 5/8 diameter axles as well as a long-lasting embossed back and seat upholstery with a double inner liner for durability. Users are able to choose between desk-length or full-length armrests and may purchase the item with either swingaway footrests or elevating legrests. Three different seat widths are also available ensuring that users of all shapes and sizes are able to get the chair that fits them best. Full-length or desk-length detachable armrests. Embossed black leatherette upholstery with double inner lining for durability. Hammer tone paint provides a long lasting and durable finish. Reinforced frame at all critical load-bearing points. Tool-free adjustable front rigging. Chart pocket standard on back upholstery. 24 x 1 black plastic wheels with black handrims and non-marking polyurethane tires. Front rigging with heel loops standard on swingaway footrests. Two position axle and caster fork provides 2 seat height adjustment. Weight capacity of 500 lbs.. Latex-free. Traveler HD 22X18 Detachable Desk Arm Swingaway Footrest. The Traveler HD Wheelchair from Everest Jennings is the latest in a long tradition of durable high-quality products. Designed to support up to 500 lbs. the Traveler HD is the ideal solution for the bariatric user. The chair comes with double crossbraces heavy duty 5/8 diameter axles as well as a long-lasting embossed back and seat upholstery with a double inner liner for durability. Users are able to choose between desk-length or full-length armrests and may purchase the item with either swingaway footrests or elevating legrests. Three different seat widths are also available ensuring that users of all shapes and sizes are able to get the chair that fits them best. Full-length or desk-length detachable armrests. Embossed black leatherette upholstery with double inner lining for durability. Hammer tone paint provides a long lasting and durable finish. Reinforced frame at all critical load-bearing points. Tool-free adjustable front rigging. Chart pocket standard on back upholstery. 24 x 1 black plastic wheels with black handrims and non-marking polyurethane tires. Front rigging with heel loops standard on swingaway footrests. Two position axle and caster fork provides 2 seat height adjustment. Weight capacity of 500 lbs.. Latex-free. Threaded seat screw inserts minimize stripping from upholstery changes. Armrests and calf pads are upholstered and padded. Carbon steel frame with rust- and chip-resistant chrome plating. Easy-to-clean navy vinyl upholstery. Chart pocket on back. Picture is representative of this wheelchair line please check specification table on each individual sku for specific product details. Traveler HD 24X18 Detachable Desk Arm Swingaway Footrest. The Traveler HD Wheelchair from Everest Jennings is the latest in a long tradition of durable high-quality products. Designed to support up to 500 lbs. the Traveler HD is the ideal solution for the bariatric user. The chair comes with double crossbraces heavy duty 5/8 diameter axles as well as a long-lasting embossed back and seat upholstery with a double inner liner for durability. Users are able to choose between desk-length or full-length armrests and may purchase the item with either swingaway footrests or elevating legrests. Three different seat widths are also available ensuring that users of all shapes and sizes are able to get the chair that fits them best. Full-length or desk-length detachable armrests. Embossed black leatherette upholstery with double inner lining for durability. Hammer tone paint provides a long lasting and durable finish. Reinforced frame at all critical load-bearing points. Tool-free adjustable front rigging. Chart pocket standard on back upholstery. 24 x 1 black plastic wheels with black handrims and non-marking polyurethane tires. Front rigging with heel loops standard on swingaway footrests. Two position axle and caster fork provides 2 seat height adjustment. Weight capacity of 500 lbs.. Latex-free. Invacare Tracer IV 24 x 18 Heavy Duty Silver Vein Wheelchair. The Invacare Tracer IV Wheelchair features superior durability rollability and streamlined looks. It is designed for the active individual who needs the strength of a reinforced heavy-duty frame. Its many options include components interchangeable within the Tracer series. The Tracer IV wheelchair is long-lasting and low-maintenance. Dual axle position allows variation of seat-to-floor heights. Durable low-maintenance triple chrome-plated carbon steel frame is long-lasting. Reinforced frame includes gussetted sides caster journals and dual crossbraces. Corded urethane rear tires 350 lb. and pneumatic flat free tires 450 lb. mounted on no flex wheels offer superior performance. Low-maintenance dual-sealed precision bearings. Heavy-duty inner liners keep seat and back from stretching. Upholstery is dual-embossed. 24" Wide Bariatric Wheelchair Trace IV 450 Lbs Cap. Invacare Tracer IV 22 x 18 Heavy Duty Frame with Fixed Height Conventional Full Arm 8 Caster and 24 Rear Wheels. The Invacare Tracer IV Wheelchair features superior durability rollability and streamlined looks. It is designed for the active individual who needs the strength of a reinforced heavy-duty frame. Its many options include components interchangeable within the Tracer series. The Tracer IV wheelchair is long-lasting and low-maintenance. Dual axle position allows variation of seat-to-floor heights. Durable low-maintenance triple chrome-plated carbon steel frame is long-lasting. Reinforced frame includes gussetted sides caster journals and dual crossbraces. Corded urethane rear tires 350 lb. and pneumatic flat free tires 450 lb. mounted on no flex wheels offer superior performance. Low-maintenance dual-sealed precision bearings. Heavy-duty inner liners keep seat and back from stretching. Upholstery is dual-embossed. 22" Wide Bariatric Wheelchair Trace IV 450 Lbs Cap. Invacare Veranda 18 x 16 Frame with Desk Length Removable Arm and Footrest Wheelchair. 18 x 16 Frame with Permanent Full Length Arms and Footrest Veranda Wheelchair. The Invacare Veranda Wheelchair provides comfort and mobility in an economical package. Complete with front riggings packaged with the chair the Invacare Veranda wheelchair combines style and durability at an affordable price. Stylish powder-coated frame includes front riggings. Footrests match chair. Legrests are chrome. Carry pocket on back. Large step-tube end cap. Padded nylon upholstery. Comfortable padded arms. Duaxle positional. Invacare Veranda 18 x 16 Frame with Desk Length Removable Arm and Elevating Legrests Wheelchair . 18 x 16 Frame with Removable Desk Length Arms and Elevating Legrests. Veranda Wheelchair. The Invacare Veranda Wheelchair provides comfort and mobility in an economical package. Complete with front riggings packaged with the chair the Invacare Veranda wheelchair combines style and durability at an affordable price. Stylish powder-coated frame includes front riggings. Footrests match chair. Legrests are chrome. Carry pocket on back. Large step-tube end cap. Padded nylon upholstery. Comfortable padded arms. Duaxle positional. Invacare Veranda 20 x 16 Frame with Desk Length Removable Arm and Footrest Wheelchair . 20 x 16 Frame with Removable Desk Length Arms and Footrests. Veranda Wheelchair. The Invacare Veranda Wheelchair provides comfort and mobility in an economical package. Complete with front riggings packaged with the chair the Invacare Veranda wheelchair combines style and durability at an affordable price. Stylish powder-coated frame includes front riggings. Footrests match chair. Legrests are chrome. Carry pocket on back. Large step-tube end cap. Padded nylon upholstery. Comfortable padded arms. Duaxle positional. Invacare Veranda 20 x 16 Frame with Desk Length Removable Arm and Elevating Legrests Wheelchair. 20 x 16 Frame with Removable Desk Length Arms and Elevating Legrests. Veranda Wheelchair. The Invacare Veranda Wheelchair provides comfort and mobility in an economical package. Complete with front riggings packaged with the chair the Invacare Veranda wheelchair combines style and durability at an affordable price. Stylish powder-coated frame includes front riggings. Footrests match chair. Legrests are chrome. Carry pocket on back. Large step-tube end cap. Padded nylon upholstery. Comfortable padded arms. Duaxle positional. Paramount XD 26 x 19 1/2 Detachable Desk Arm Swingaway Footrest. The Paramount XD is ideal for the bariatric wheelchair user. It features 26 and 30 seat widths as well as a weight capacity of 650 lbs. Meets Medicare specifications for K0007 for wheelchairs. The Paramount XD is ideal for the bariatric wheelchair user. It features 26 and 30 seat widths as well as a weight capacity of 650 lbs. Meets Medicare specifications for K0007 for wheelchairs. Paramount XD 30 x 19 1/2 Detachable Desk Arm Swingaway Footrest. The Paramount XD is ideal for the bariatric wheelchair user. It features 26 and 30 seat widths as well as a weight capacity of 650 lbs. Meets Medicare specifications for K0007 for wheelchairs. Paramount XD 30 x 19 1/2 Detachable Desk Arm Elevating Legrest. The Paramount XD is ideal for the bariatric wheelchair user. It features 26 and 30 seat widths as well as a weight capacity of 650 lbs. Meets Medicare specifications for K0007 for wheelchairs.